Finding the right kind of insurance can be hard, especially when you own a rare and valuable vehicle that has unique insurance needs. There are a number of things you should consider when looking for insurance for your special vehicle. Make sure the policy has an Agreed Value option. This allows you to include extras such as any work that has been done to restore or improve its condition, that wouldnt usually be considered in a standard market value. The option of Salvage retention is especially important for owners of veteran, vintage or classic vehicles, as this feature allows owners to keep the wreck after an accident as a potential to rebuild or a source of parts. Please review conditions of this carefully as with some insurers there is an extra cost involved or the vehicle has to be of a certain age. 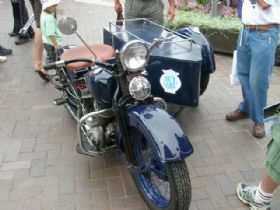 Many restorers of veteran, vintage or classic cars require cover for vehicles under restoration. Make sure your car is covered on and off the road. Other policy features such as choice of repairer are also worth considering. The most important thing to remember is to always read your policy documents and weigh up all the pros and cons, financial or otherwise, because only you can decide what cover is best for your car. 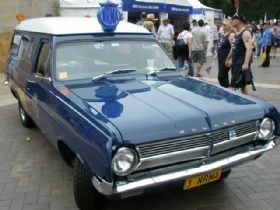 With NRMA Insurance we will take as much care of your classic vehicle as you do. Our Veteran, Vintage and Classic Vehicle Insurance policy is designed for vehicles used for hobby and recreational purposes and includes cover up to the agreed value, faultless excess and retention of salvage after an accident (for vehicles manufactured prior to 31/12/1980). As a bonus, you may be eligible for NRMA Traveller Care, at no extra cost for vehicles over 20 years of age that break down more than 100kms from home within Australia. This gives you extra help if you run into problems away from home, and provides accommodation, car rental and an extended towing service. Subject to certain conditions. 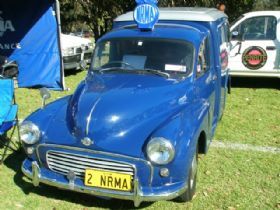 Give us a call on 1800 646 605 or visit our website at www.nrma.com.au to discuss your vehicles insurance needs. Insurance Issued by Insurance Australia Limited ABN 11 000 016 722 trading as NRMA Insurance. 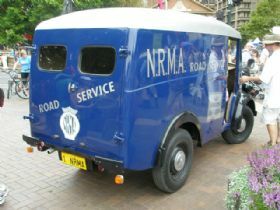 This is general advice only, so be before making any decisions, make sure you consider your own circumstances and the Product Disclosure Statement available from NRMA Insurance.